Magento Connect has been a valuable resource for merchants, developers, partners, and the Magento team for a number of reasons. Magento Connect made it easy for merchants to search and discover new extensions to supercharge their Magento eCommerce store while making it easy for developers and partners to get discovered. The platform must have also helped the Magento team discover valuable insights from user (merchants, developers, and partners) behavior on the platform which not only contributed towards building the Magento community but also possibly towards the Magento’s roadmap for future versions. In this blog, we will discuss the changes made to the marketplace Magento Connect to further streamline and improve the user experience. Magento connect was an open marketplace for developers and partners to showcase their extensions and products. There were no limitations or checks performed to list a product there. On the contrary, the new Magento marketplace will move to an app store model where every extension will have to go through a plagiarism check, code review, security, interoperability, and quality tests. The new marketplace will showcase enhanced ratings and review engine tied to customer account to eliminate fake reviews. Magento Connect also did not sell any extensions earlier and redirected users directly to the developer’s website. The new marketplace will now allow users to purchase from their platform and charge the developer a commission for every sale made. With Magento’s focus on quality and improved search, merchants will find it easier to find, purchase, download and install quality extensions. If developers decide to offload a part (or complete) of the cost, which they now have to pay as commission to Magento, then merchants will see their costs go up. While the new marketplace will make it easier for some developers to upload, sell and track their extensions, others will find it difficult to get their extension listed on the new platform thanks to the new quality checks. Merchants that do manage to get their extensions listed on the new marketplace will witness improved visibility (increased sales) than on the earlier (Magento 1.x) marketplace. Magento will work with developers to help them migrate 1.x extensions to 2.0. Because of the commission introduced by Magento, developers will find their margins decreasing. Developers can continue selling the extensions on their own stores (irrespective of whether the extension is listed on Magento connect). With the improved focus on quality, customers will witness improvements in their user experience. Based how the merchants react to the new pricing model, the end customers might see an increase in product prices or discontinuation of other benefits like free shipping, and more if the merchants decide to pass on the increased costs to end customers. 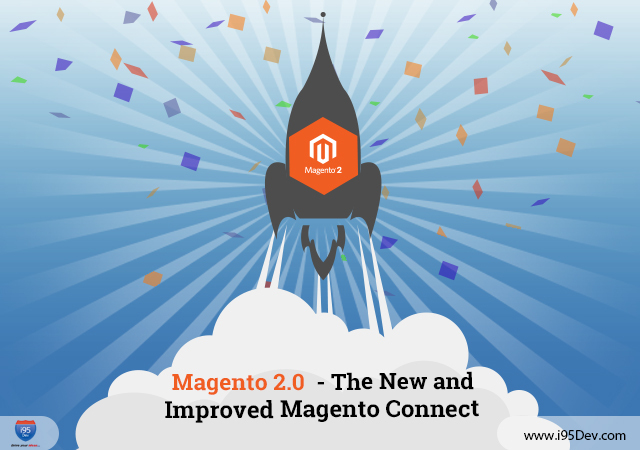 Now, with the advent of power packed Magento 2.0, actors at various levels of the eCommerce world are envisioning to benefit from the new generation features offered by Magento 2.0 and have begun contemplating into calculations and efforts needed to migrate from Magento 1.x to Magento 2.0. In the next blog, we will discuss Migrating from Magento 1.x to Magento 2.0 in detail. Stay tuned!! If you have not already read our earlier blogs on Magento 2.0 then we encourage you to do that.